Early Review! 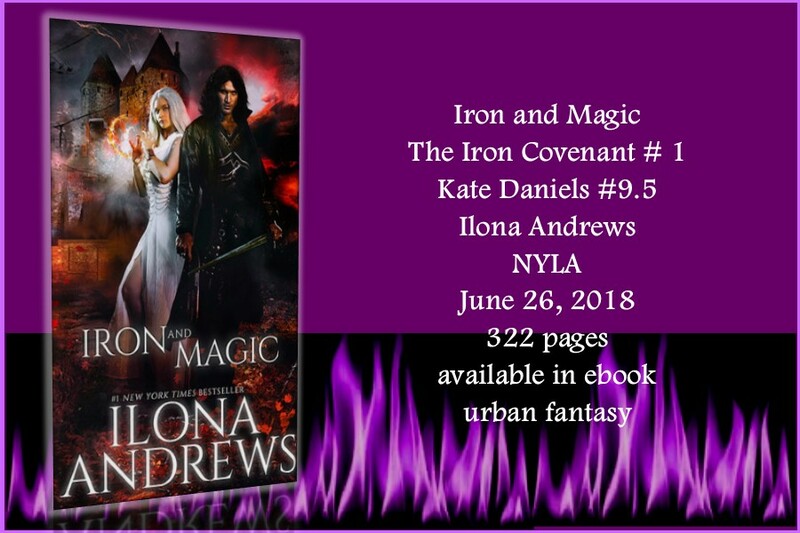 Iron and Magic (The Iron Covenant #1 / Kate Daniels #9.5) Ilona Andrews! I just went on an adventure to another world where technology and magic compete for supremacy and I it was one thrilling ride where I met mesmerizing characters and fought spectacular battles. Hugh and Elara were the main characters that I met on this journey and they are strong, captivating and easily seized my attention and refused to let go once they had it. This couple were both intriguing and daring with lots of appeal and unique characteristics that made them stand out. As for the relationship between them, well it definitely had some electrifying chemistry and an attraction that had sparks flying everywhere but it was also feisty and full of turmoil as they fought each other tooth and nail throughout the story with snappy dialogue that has me convinced that a happily ever after for these two may be a long time in coming, at least they finally have a sort of acceptance of each other, so I can’t wait to find out how their relationship progresses. Lots of excitement and thrills keep the adrenaline pumping throughout this fast paced and smooth flowing story with lots of twists and turns that kept me wondering just what would happen next. The bad guys and creatures are as fascinating as they are scary and cause Hugh and Elara a seemingly endless amount trouble so there was definitely no dull moment to be found. 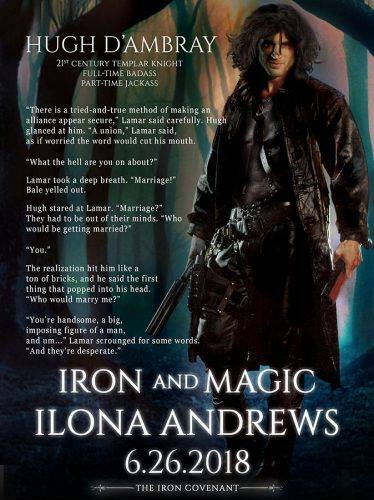 I am a huge fan of the Kate Daniels universe and I can never get enough, so I was quite excited to find out that Hugh was going to have his own story. 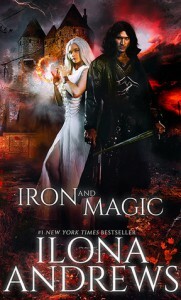 Iron and Magic is well developed and full of all the fascinating elements and all the wonderful characters and creatures that make up the universe, so is it really any wonder that I was completely enthralled by the first book in The Iron Covenant series and I am eagerly awaiting the next. & The Iron Covenant Trilogy # 2 is coming in 2019!